Looking to build a new website or re-design an outdated site? We can help. From start to finish we walk you through the process of your website project. Web design is so much more than typeface and color. A website is one of your most powerful marketing tools. We help you establish revenue goals for your site, and provide options to meet these goals. Our approach focuses on getting you a return on your marketing investment. We believe, if that isn’t the key focus, color doesn’t really matter. For years we at 80Port have been offering quality website design and web development services for businesses in the Northern Virginia area. Our offices are conveniently located in just over the Key bridge from Rosslyn, VA. We are a full service web development firm, offering a range of services including content management, web hosting, website management, and search engine optimization. We welcome all budgets. We’ve worked with large-budget established Northern Virginia businesses and start-ups/individuals seeking affordable website solutions. All of our websites include comprehensive search engine optimization. Analytics, sitemap creation and submission, social media marketing and integration, page content optimization, keyword analysis… these are some of the many search engine optimization services we include in our projects. Modern websites must be viewable on a variety of devices and screen sizes. For this reason, we create all of our websites with responsive layouts using industry standard tools and techniques. 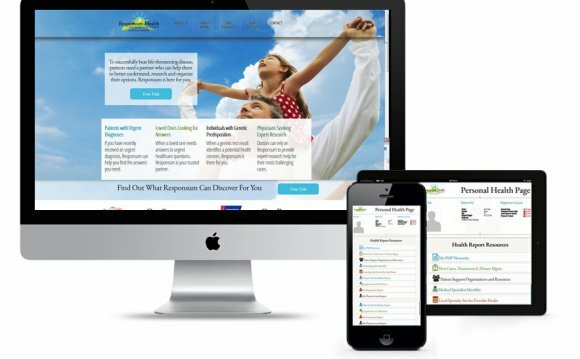 Your website will be mobile optimized mobile, tablet, laptop, and more. And we do it at prices you can afford. For the majority of website needs, WordPress is the best tool for the job. WordPress content management system is the most popular CMS on the web for a reason. For affordable custom WordPress development, contact us today to learn more. Providing affordable websites is our priority. We are able to offer web solutions for any budget. By targeting your specific business needs, we can provide you with a custom website without bloat and unnecessary costs. With each project we start anew. Your website will be tailored to your budget and your business objectives. We have experience developing websites for a variety of industries. Our industries served include food and beverage, technology, marketing and communications, supply chain, procurement, and government. We’ve worked with businesses in Northern Virginia of all kinds, from pre-schools, to law firms, to restaurants, to individuals and start-ups seeking an affordable solution. We give individual and Virginia business websites an edge with quality services. We serve clients in many areas of Northern Virginia. From small business websites for businesses in Alexandria, Arlington, Ballston, and Clarendon to restaurant websites for businesses in Fairfax, McLean, and Falls Church, we have experience working with all types of budgets and industries.